Changchun Fawer-IHI Turbocharger Co., Ltd (hereinafter referred to as FIT), founded in 2003， is a joint venture by FAWER Automotive Parts Limited Company, IHI, IHI TURBO and ITOCHU. The company specializes in R&D, manufacturing and sales of turbocharger and relevant products for vehicles. Its product range covers diesel engine and gasoline engines for commercial vehicles and passenger cars with internationally leading technology level, realizing supporting for many famous enterprises such as Volkswagen, Toyota and Honda. Relying on superb product research and development capability, advanced manufacturing technologies and complete quality assurance system, the company is dedicated to creating an international enterprise beyond users’ expectation and performing social responsibilities. Now, we begin to lead the global change. Changchun Fawer-IHI Turbocharger Co., Ltd (hereinafter referred to as FIT) is a Sino-foreign joint venture registered on December 24, 2003 by FAWER Automotive Parts Limited Company, IHI, IHI TURBO and ITOCHU. The ratio between investments of four shareholders is 35.05%, 49.37%，7.79% and 7.79% respectively. 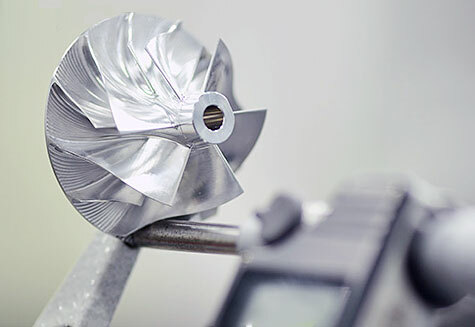 FIT is one of the modern enterprises manufacturing turbochargers in China and its main business scope is developing, manufacturing and selling vehicle turbochargers. The company is dedicated to creating clean power for the world, providing professional solutions for the customers and becoming the leader in this field. FIT vehicle turbochargers cover the gasoline and diesel engines for passenger cars and commercial vehicles, including RHF, RHG and RHV series, which are suitable for engines of various displacements from 0.6L to12L. Regarding over 20 products including 1.0L~2.0L gasoline engines and 2.4L~7.7L diesel engines, the product performance and quality are always of internationally advanced levels. Through years’ development, FIT has formed a comprehensive business platform that integrates R&D, production, sales and services and realized supporting for famous enterprises at home and abroad such as FAW-Volkswagen, Shanghai Volkswagen, Shanghai Volkswagen Powertrain, Dalian Volkswagen Engine, Baoding Great Wall, FAW Toyota and Honda. At the product development stage, through lean product development system and testing system, it guarantees product maturity. 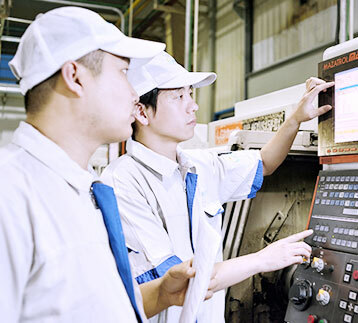 At the mass production stage, through lean production system and online automatic inspection, it guarantees stable production process of the products. Over the past ten years, the company has won many honors successively such as Volkswagen of Germany Class A Supplier, Shanghai Volkswagen Class A Supplier, FAW – Volkswagen Top Ten Suppliers, Dalian Volkswagen Excellent Supplier, Shanghai Volkswagen Powertrain Excellent Quality Award and Shanghai Volkswagen Powertrain Best Logistics Award. Science and technology are the primary productive forces. 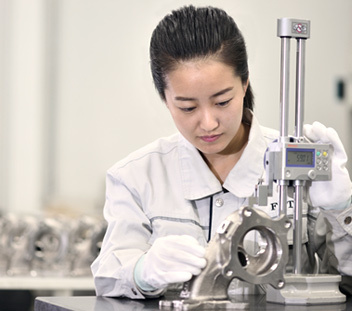 The Product R&D Center approved by the provincial technical center, has been equipped with independent R&D and technical innovation capabilities. The Product Lab and Quality Analysis Test Room passed ISO/IEC17025, has boasted industrial leading level. Independent R&D and continuous learning have become the core competitiveness of FIT. The company is dedicated to improving employees’ happiness, creating clean power for the world, providing professional solutions for the customers and becoming the leader in this field. Transparency rejects distrust and trust attracts honesty. Honesty invites cooperation and cooperation results in development. Is the foundation for corporate development. Is radical for corporate development. Is the driving force for corporate development. With market tempering and accumulation of experience, FIT has developed a whole-process development process from identification of customer needs, product planning, product design to product test and trial manufacture evaluation. R&D Center with complete system and perfect functions has been equipped with the world-class and domestically leading prototype testing equipment. 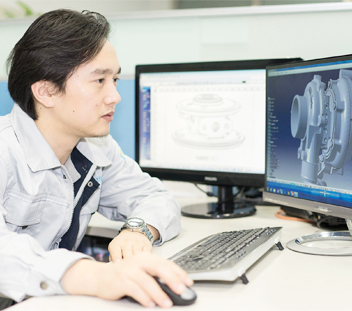 During new product development process, the company has comprehensively adopted technologies such as GT-Power simulation, ITES matching simulation, fluid performance simulation, thermodynamic simulation, structural mechanics, mold flow analysis and manufacturing process simulation analysis. It continuously promotes mature technologies such as Francis turbine, ball bearing system, double flow turbine casting, variable geometry VGS system, two stage turbocharging technology and electrically assisted turbocharger to the new turbocharger products and has won recognition from markets and the industry. Over 90% of employees are from various universities and colleges. Over 90% managerial staff have bachelor degrees and over 95% engineering technical personnel are graduated from 211”or“985“ colleges. Gathering of high quality talents provides strong development force for the company. The Japan’s technical experts resident in FIT; Project Manager with rich experience; R&D elites trained in Japan and Europe; united, high efficient project team with strong executive power are the four cores for professional R&D team. Sharing technical platform and development resources and conducting simultaneous development for global projects with IHI Yokohama R&D Center and ICSI Germany R&D Center are our extraordinary resources advantages. Moreover, we will rely on constant innovative spirit to create science and technologies with unceasing progress; produce products that make users feel proud with high quality craftsmanship spirit. Let every technical innovation become surprises expected by users. It is this innovative spirit and craftsmanship spirit like a bird’s wings and a vehicle’s two wheels that make FIT’s dream of creating turbochargers to the satisfaction of different users’ needs all over the world become true. With China Creation and China Manufacturing, let’s perform “green” and “low carbon” social responsibilities jointly. FIT applies management concept of lean production and pursues zero waste in process and zero defect in quality through high standard 5 S management, visual site, error-proofing process, flexible production, TPM, improvement and other management methods. The company applies automation equipment and informatization management system to improve operation control capability, realize integration of purchase management, inventory management, production management, sales management, cost accounting and financial management. The company adopts online control and real-time online data automatic acquisition system to make product traceability more accurate. FIT is intensely aware of the importance of quality for customers and enterprises. Over ten year’s development, the company has not only established perfect ISO/TS 16949 quality system, ISO14001 environment management system and ISO14001 occupation health safety management system but also formed the management system that is suitable for corporate development integrating Germany VDA standard, lean production management mode, MMOG/LE and so on by combining years’ experience in turbocharger manufacturing and customers’ special requirements. The company pursues zero quality defects and focuses on quality cost control, continuously improves its capabilities through constant improvement activities while paying attention to supply chain development and management, implementing consistent quality management standard to form the supply chain quality management system with the common goals. Customers’ trust and approval make us march forward more firmly and we are convinced that honors just represent the past only strength can create our future.